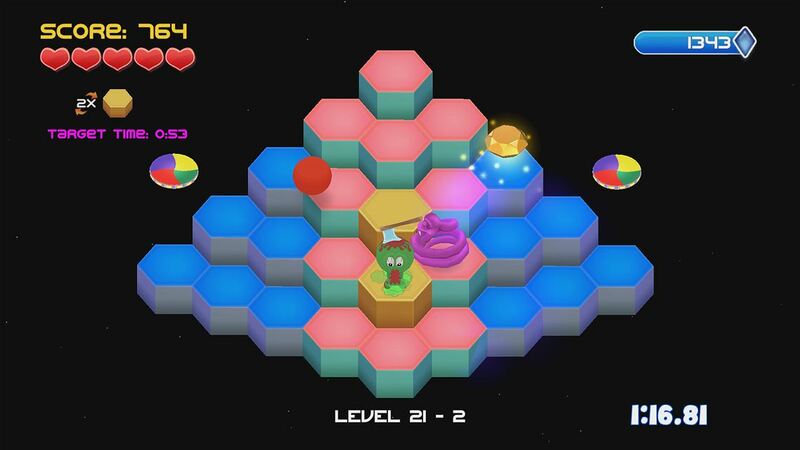 Q*bert REBOOTED: The XBOX One @!#?@! Edition is Q*bert. They say it’s “rebooted,” and the description includes such hype-quotes as “reimagined” and “state of the art 3D gameplay,” but really, it’s just Q*bert. That doesn’t mean it’s bad. If you like Q*bert and don’t feel like booting up your Atari 2600, it will certainly give you your fix. If you don’t know about Q*bert — or you’re like me and played it as a kid but had no clue what you were doing — you basically just have to jump on 3D cubes to change their color, all while avoiding myriad obstacles. It doesn’t really get more complicated than that, although the difficulty does get pretty hard, pretty quick. Fun, at least at first — Q*bert is a classic because it’s a fun concept. 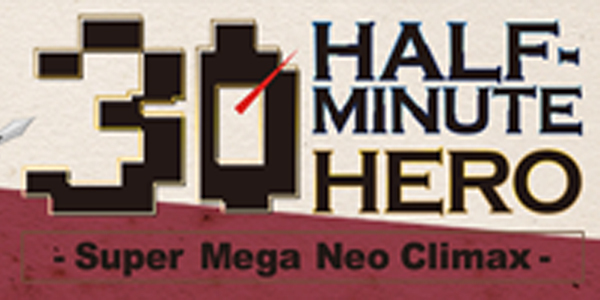 It’s simple enough for anyone to figure out (at least the first levels) and is easy to play, difficult to master. Like Pac-Man, Galaga and other games from the old arcade days, it’s an easy idea that hooks you in and rewards you for getting better. Old-school charm — While the graphics have been updated for the 21st century, the game still has a very simplistic, old-school charm. Q*bert has always been quite a character, and the ability to dress him up in silly costumes adds to that. The already surrealistic style of a pyramid of 3D bricks is made weirder by throwing the whole setup out into outer space — something that’s cheesy yet cute. Explanations — In the arcade, you were pretty much left on your own to figure out what was good, what was bad and which enemies would kill you right away if you touched them. It’s nice that this time around we’re actually given a clue as to what will happen if you cross paths with a baddie, but the game doesn’t go too far like a lot of games nowadays with never-ending tutorial levels. There’s just a nice quick explanation every time something new is introduced. 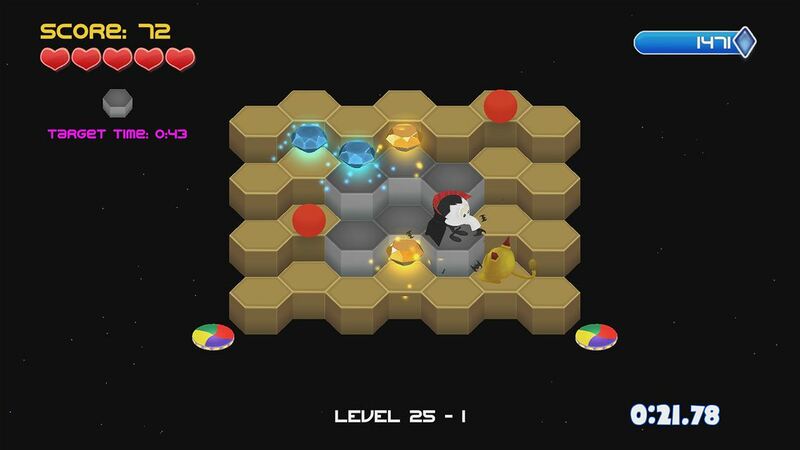 Not much new — GPC Games updated the graphics and added a small variety to the layouts of the cubes, but otherwise, this is just the same old Q*bert. Most likely you have some form of this game somewhere, so if you’re going to buy it all over again, it would be nice to have some new modes or other updates. 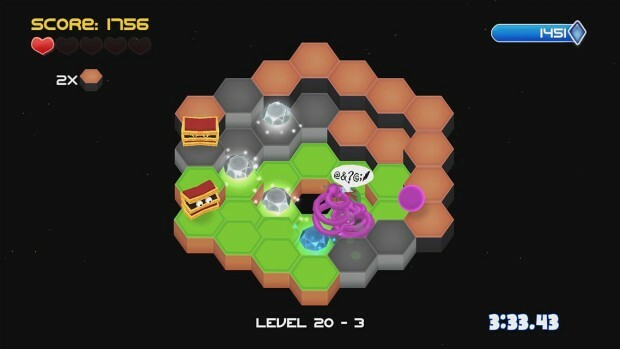 The things that are new get old quick — There are some new layouts, a slight variety of enemies and some bonuses. But once you’ve seen them all, they just keep getting thrown at you in varying configurations and difficulty levels. Fairly early on, you’ll have seen all there is to see, and it’s just repeating the process from there. Even the music by EnV, which is great at first, gets old quick when it’s the same thing over and over again. Once the difficulty goes up, it just keeps going — One thing that does continue to change is the difficulty. If you love Q*bert, then some added challenge might be a good thing. If you only just like Q*bert, it gets frustrating. Quickly. Again, that may be a positive for some people, but it led to many cheap deaths and the need to keep trying over and over to beat levels that are basically the same as their predecessor — just cheaper. It’s not the kind of difficulty that’s created by introducing new challenges; it’s the kind that’s the result of adding a ridiculous number of the same old obstacles all at the same time. To be fair, there’s probably not that much that could be done to mix things up with the Q*bert formula. The simplicity is part of the charm of this old-school classic. Still, it will be nice to see if another decade or two will bring us a new version with something more than a fresh coat of paint and costumes slapped on. 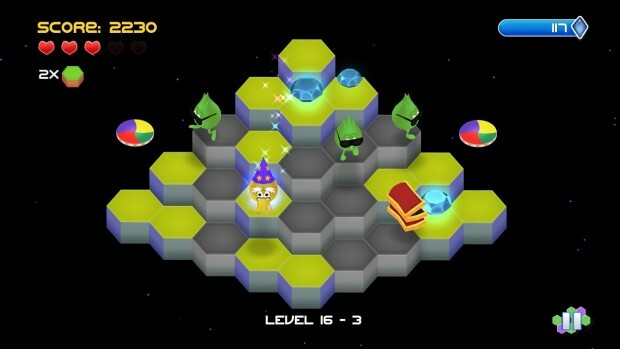 Q*bert REBOOTED: The XBOX One @!#?@! Edition was developed by GPC Games and published by LOOT Interactive, LLC on Xbox One. It was released on February 12, 2016 for $9.99. A copy was provided by LOOT Interactive, LLC for review purposes.